Quality eyecare and personal attention are our main focus at Insight Optometry. We are a family optometry practice that prides itself on the individual care and attention we provide all our patients. Your entire family is welcome at Insight Optometry. Our goal is to serve our patients by helping them with their personal eye health and providing them with professional eyecare service. 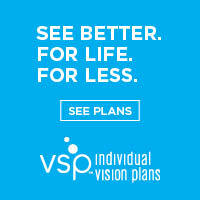 We believe that healthy eyesight is vital to a high quality of life - both of which we are committed to!